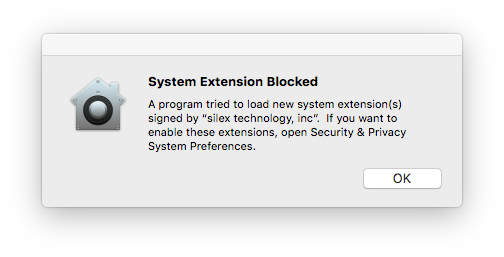 Silex has released SX Virtual Link driver for the latest macOS Sierra . We are glad to inform that we have successfully tested and released our SVL driver version 3.20.0 with additional compatibility which will support mac 10.13 or later versions. SX Virtual link driver makes the USB devices connected to the SX Virtual Link enabled device by surpassing the USB connection on the computer. This makes it easy to connect and share USB devices on the network. Please follow our instructions while installing the driver. The security of MacOS 10.13 or later versions will stop the driver from starting up when you try to install the 3rd party kernel driver. This is also the case for the SXUPTP driver for SX Virtual Link, and it will not allow you to use functions such as driver version retrieval or connecting a USB device. 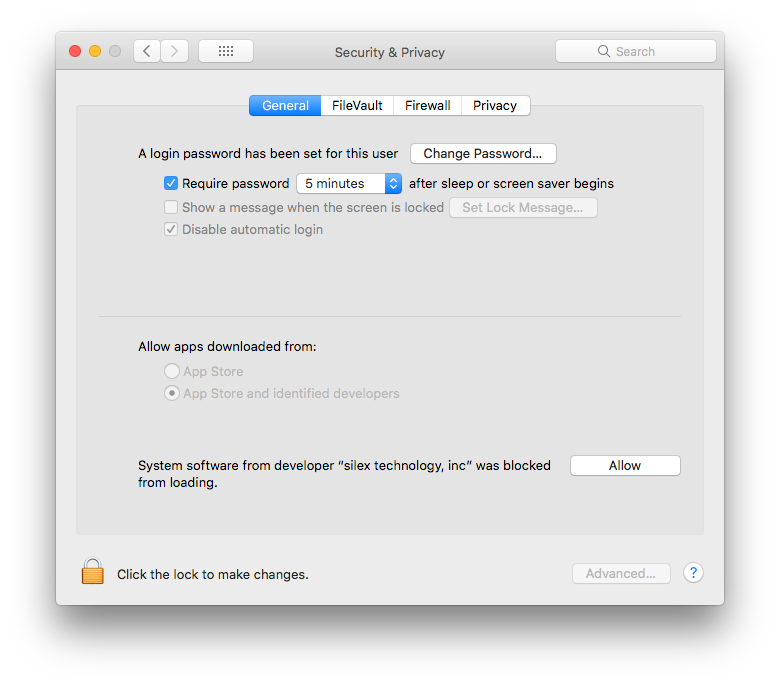 Step 2: Open the System Preferences, go to Security & Privacy, and click on the Allow button to allow loading. Once the driver has been allowed to load, it will not be blocked again even when you reinstall it or when the OS is upgraded. The SX Virtual Link Driver is now available on our website to download. In addition to that , our device server products also require the new device server setup for mac.